CIPRA, the International Commission for the Protection of the Alps, is an autonomous non-governmental, non-profit umbrella organisation that has been committed to the protection and sustainable development of the Alps since 1952. 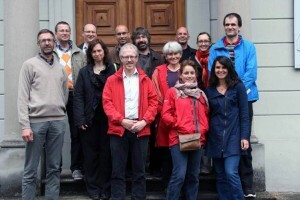 With its international executive office in Liechtenstein, its representatives in seven Alpine states and one region with around one hundred member organisations, CIPRA represents an important alpine-wide network. 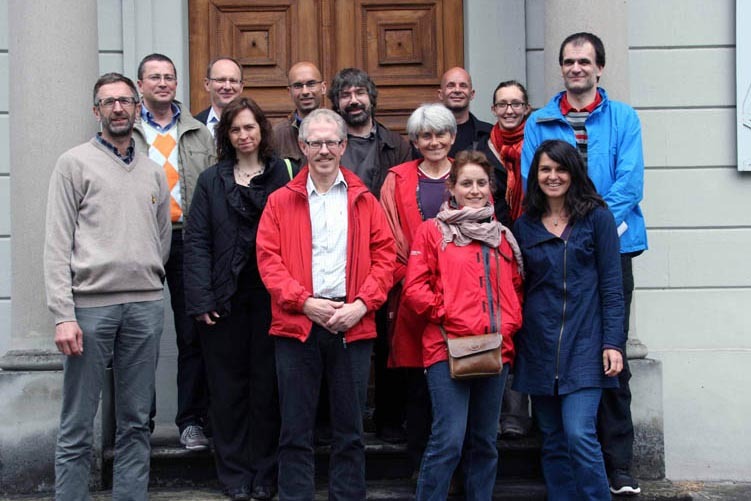 From this broad base CIPRA aims to play a pioneering role in contributing to solving current problems and upcoming challenges aimed at bringing about a sustainable and ecological future for the Alpine region. The Alpine Convention, launched at CIPRA’s initiative, was signed by the Alpine States as a treaty under international law in 1991 and is its guiding principle. CIPRA International has a long experience in communication and with leading and participating in international projects. Therefore CIPRA International is Lead Partner of the project MountEE and responsible for the communication. The County Administrative Board is a regional government authority for the county of Dalarna, one of Swedens 21 counties. The county of Dalarna comprises 15 municipalities and is an important link between the population and the municipal authorities on one hand and the government, parliament and central authorities on the other. The board is a multifaceted authority with knowledge and capacity within a wide field, such as lawyers, biologists, architects, agronomists, foresters, engineers, public relations officers, archaeologists, social workers, veterinarians, social scientists and economists and is responsible for a range of tasks, including the implementation of national objectives, the coordination of the different interests of the county, the promotion of regional development, the establishing of regional objectives and the monitoring of legal regulations. In 2010 Dalarna has been appointed by the Swedish government as one of three pilot-counties on the energy- and climate conversion in Sweden. Norrbotten Energy Agency AB (Nenet) is one of over 475 local and regional energy agencies in Europe. Nenet is working for increased use of renewable energy and energy-efficient and environmentally friendly technologies – through networking, information dissemination, training, initiation of and participation in energy and environmental projects and the production of regional and local statistics. Nenet has also participated in several international, national and regional energy projects for sustainable development. Nenet is owned by all municipalities in Norrbotten and by the County Council Norrbotten, but has even projects in the county of Västerbotten. By this, Nenet is active in an area that covers about more than 25 percent of Sweden. ARES – Regional Agency for Sustainable Building – is a company wholly owned by the Region of Friuli Venezia Giulia and aims to promote sustainability and eco-friendly building and their quality improvement. f) controls, investigations, inspections and supervision on buildings. ARES continuously updates its analysis procedures and techniques on the basis of new EU directives, national and regional legislation and current technical standards. The agency also carries out studies, research and training activities and organizes conferences and congresses. Rhônalpénergie-Environnement (RAEE) is the regional energy and environment agency of the Rhône-Alpes region. Created 30 years ago with the support of the Regional Council of Rhône-Alpes, the agency aims at contributing to the promotion, to the co-ordination and the development of actions in favour of the rational use of energy, the promotion of renewable energies, the protection of the environment and the practical application of the sustainable development concept. The activities of RAEE are mainly targeted at local authorities and the public and social sector. The agency is accompanying them through information, advice and assistance. RAEE is a non-profit association and gathers about 50 members of the Rhône-Alpes region, including regional and local authorities, energy producers, local energy distributors, associations in the field of energy and environment, federations (in social housing, the energy and services sector), financial bodies, etc. At the national level RAEE is member of the network of regional energy and environment agencies RARE and at the European level, of the European Federation FEDARENE. The management authority of the Natural regional park of Pyrenees catalanes (PNR) is a public and local organization, it includes 64 municipalities. The park was created in 2004 by the Languedoc Roussillon Region, the environment Ministry and local municipalities. Its main approach is the development of this territory related to different topics: environmental management and protection, enhancement of natural and cultural heritage, sustainable tourism, environmental education, urban planning, energy efficiency and renewable energy and generally promotion of sustainable development of this territory. The management authority intervenes by animation, engineering, studies and observatory, stakeholder support, financial searching and innovative actions development for private and public partners. PNR works with its partner, GIP Terres Romanes, a territorial organization which perimeter is larger than the PNR, including these 64 municipalities, and working on sustainable housing, training and economic development. GIP Terres Romanes will be a partner and a co-contractor during MountEE project. The network of municipalities “Alliance in the Alps” (AidA) is an association of local authorities and regions from seven Alpine states and was founded in 1997. Its members, together with their citizens, strive to develop their alpine living environment in a sustainable way. “Exchange – Address – Implement” is the main idea behind the Alliance’s activities. The basic and guiding principle for sustainable development is the Alpine Convention. AidA has in 2012 over 300 member municipalities in the Alpine space. All of them have already achieved a certain level on sustainable development, including mitigation measures on climate change such as energy saving and efficiency measures. In MountEE project, AidA will be present in Rhone-Alpes and Friuly. Furthermore, activities will take place in Vorarlberg, and subcontracted to the Umweltverband Vorarlberg, in collaboration with Energie Institut Vorarlberg and Spektrum.